Certification for Java 9 and 18.3 - Should we skip to 18.9? As can be seen here Java 9 and 18.3 are short term releases. I want to become Java Certified (OCA and OCP) though I want to get the most up to date certification. Should I wait until Java 18.9 is released next year to start the process? 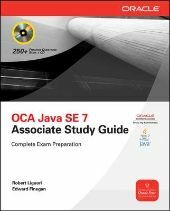 Though I bought Kathy Sierra's Java 8 book for OCA and OCP I did not finish studying and have yet to take an exam. I am confident I can get the knowledge and pass the exam, I just want to be smart about when I get it. Would it be worth it to get Java 8 certified for OCP and then upgrade to 18.9 later? Also, do we here on JavaRanch know if anyone is preparing a Java 18.9 OCP certification book? It would be awesome if Kathy Sierra would, though I heard she was receiving death threats a while ago and was pulling out of the Java publishing industry. When Java 8 came out it was about five months before Oracle has a beta OCA exam ready. The beta exam was active for about three months and then the final OCA exam was available. The beta OCP Java 8 came out about a year after Java 8 was released. But, I would not expect any study guides for Java 9 until after the beta exam was made public. This brings us to Java 9 and it's rapid release schedule. With a release every six months of Java as soon as you write an exam a new version is out. This most likely will not do. However I recall there being some talk about having LTS (Long Term Support) for some versions of Java which is suppose to last two years. If this is the case then the LTS Java will most likely be the Java that you can get certified on. Also in the past Oracle has supplied testing for you to go from OCP Java 7 to OCP Java 8. They could very well do that again, but go from OCP Java 8 to OCP Java 9. If they do then it would be worth it to get your OCP Java 8. Right now we can only look at what was done in the past and try to apply that to the future and hope that we are correct. However, from what I know, no one has officially stated that they are going to write an study guide yet at least not on this site. Anyway, I created a blog entry with my opinion about what will happen. I agree with you that Oracle will likely wait for 18.9. I also agree Oracle will provide an upgrade exam. "But, I would not expect any study guides for Java 9 until after the beta exam was made public. " - it's actually after that. For our Java 8 books, we wrote most of the book before the beta exam was released. Then we took the beta exam and edited a lot . We authors need to actually take the beta exam to see how closely our guesses go with the exam. Even if our predictions were 100%, there are a few months of work between that and the sale of a book. So it would be a while. And in this case, I wouldn't expect any authors to even start drafting an updated book until Oracle announces their intent about when they plan to release an exam. Scott and I do want to update our books for the next Java cert. (At least the two main ones; it's too early to know how the practice exam book is going to do.) This is not an "official statement" that we are though. That doesn't come until we are ready to start and sign a contract with the publisher! Our Java 8 books have sold well so I expect the publisher will want to continue to work with us. Pete, it looks like Java 18.9 has LTS (Premier Support) for five years, from 2018 to 2023, upping to eight years for "Extended Support or 2026. Jeanne, thanks for your thoughts on certification. I now plan to get the Java 8 certification. By the time I have it I expect an upgrade exam may be ready with the module system and a few of the new JDK additions. Also, thanks for the shoutout to Kathy and Bert's Java 8 book. I made a mistake in my first post: I bought their Java 7 book, not Java 8. I loved the Java 7 book and will definitely be buying the K&B Java 8 book. Jeanne Boyarsky wrote: For our Java 8 books, we wrote most of the book before the beta exam was released. Then we took the beta exam and edited a lot . We authors need to actually take the beta exam to see how closely our guesses go with the exam. Even if our predictions were 100%, there are a few months of work between that and the sale of a book. So it would be a while. I did not know and it's always interesting to get the perspective of someone who has been doing this for some time. Kent O. Johnson wrote: Pete, it looks like Java 18.9 has LTS (Premier Support) for five years, from 2018 to 2023, upping to eight years for "Extended Support or 2026. Interesting, five years is a long time in the IT world and a lot can happen in that time frame.